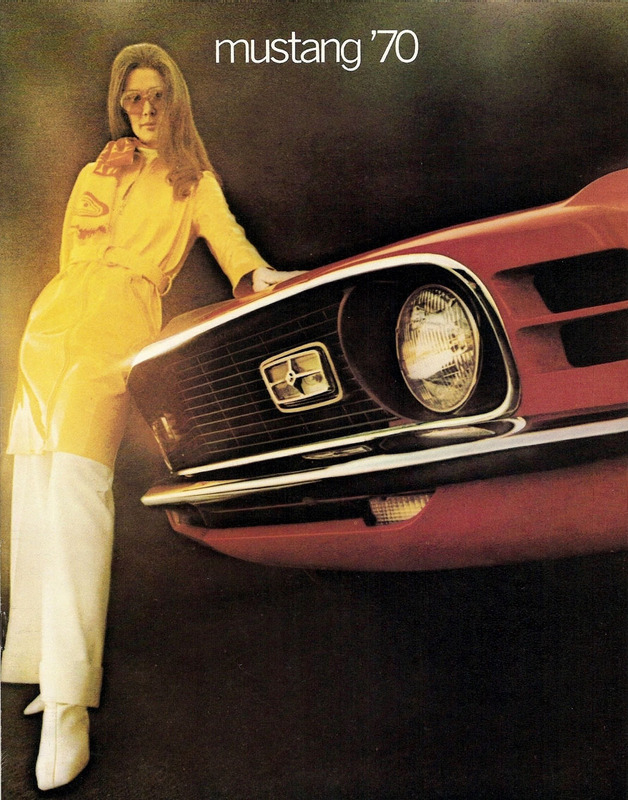 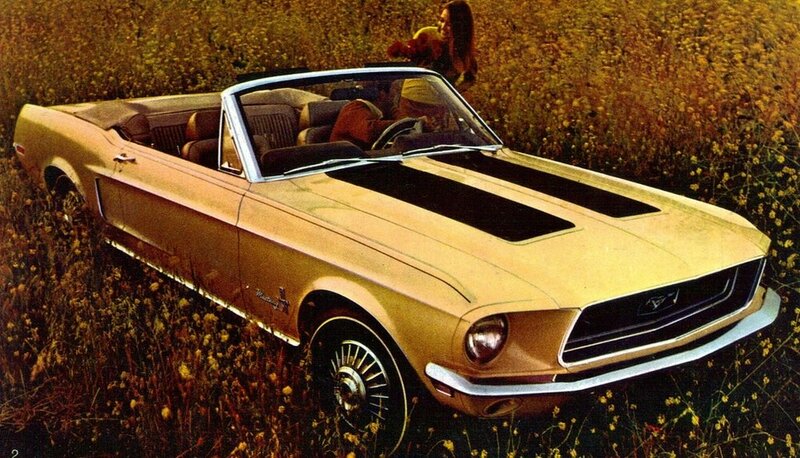 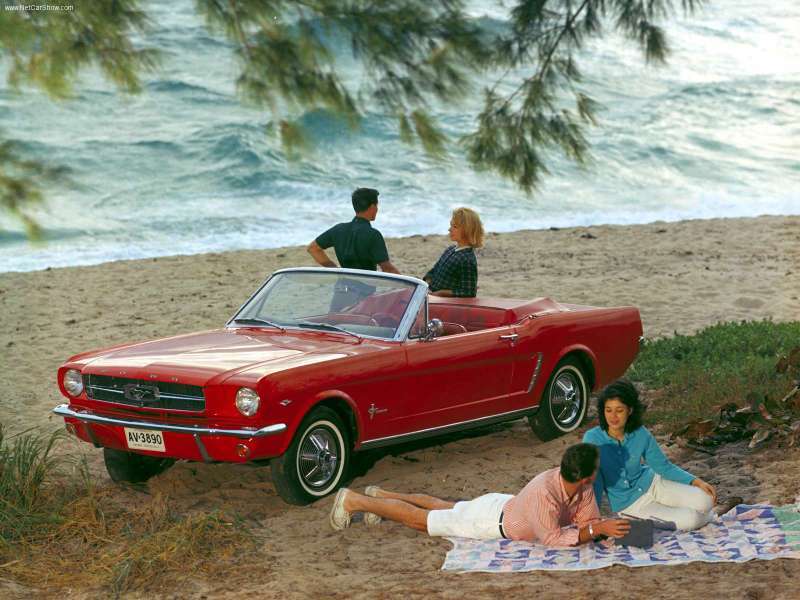 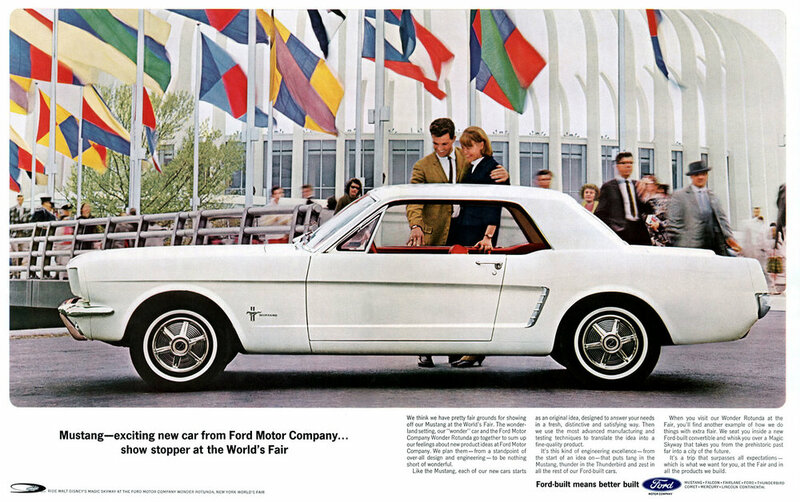 America’s most famous model - the original pony car was released in late 1964. 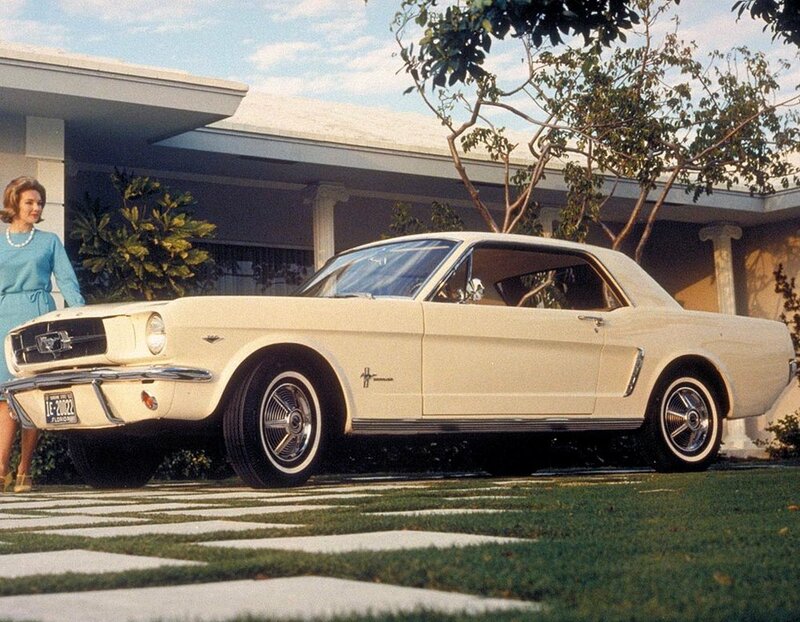 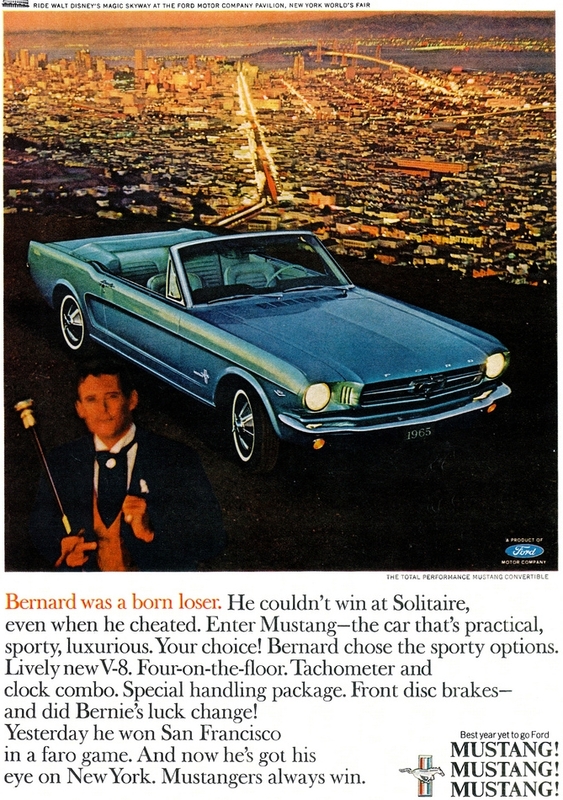 Within a year Ford had sold over 400,000 Mustangs making it the most successful new car launch in history. 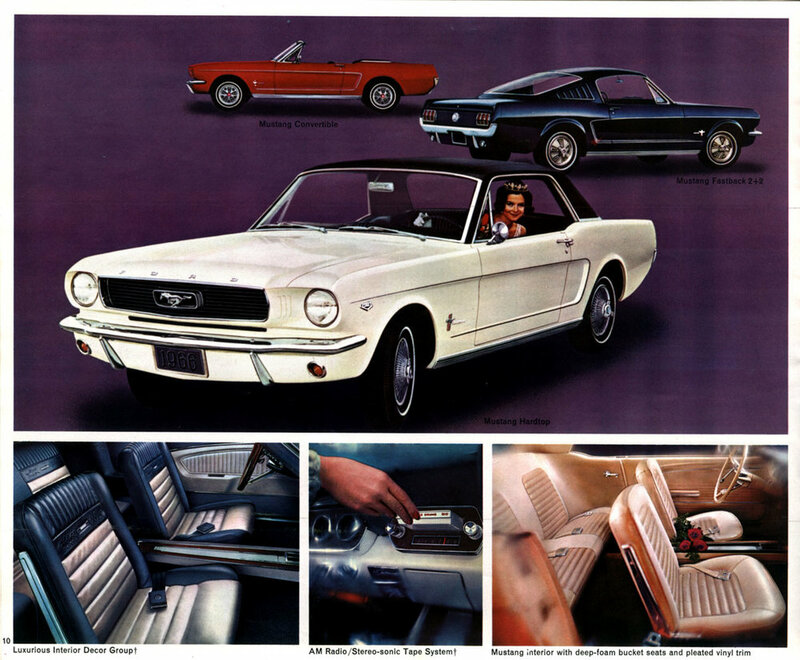 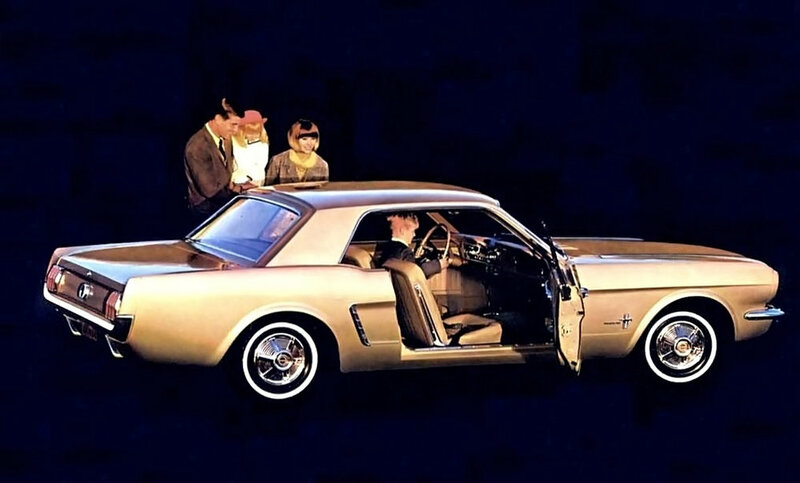 By '65 buyers could choose between hardtop, convertible or fastback body style. 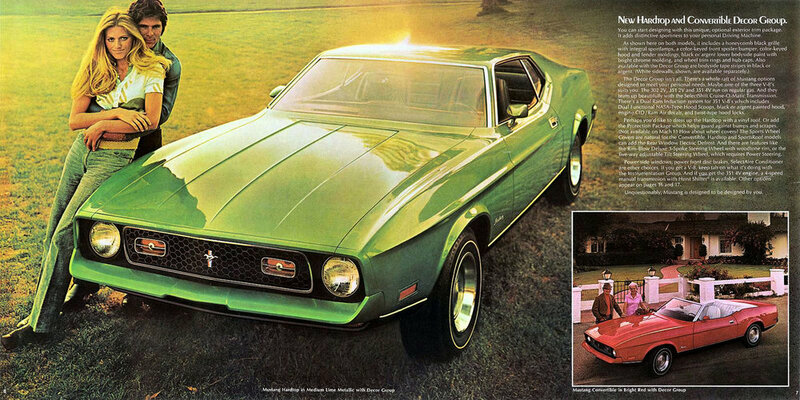 Engines started at 170 and 200 cubic inch sixes, but most opted for the 260 cubic inch V8. 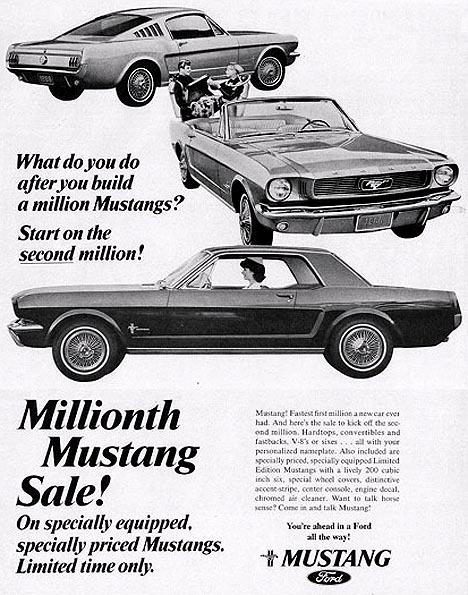 From ‘65 through to ‘67 the small block was upped to 289 cubes, then 302 for ‘68, and finally 351 cubic inches. 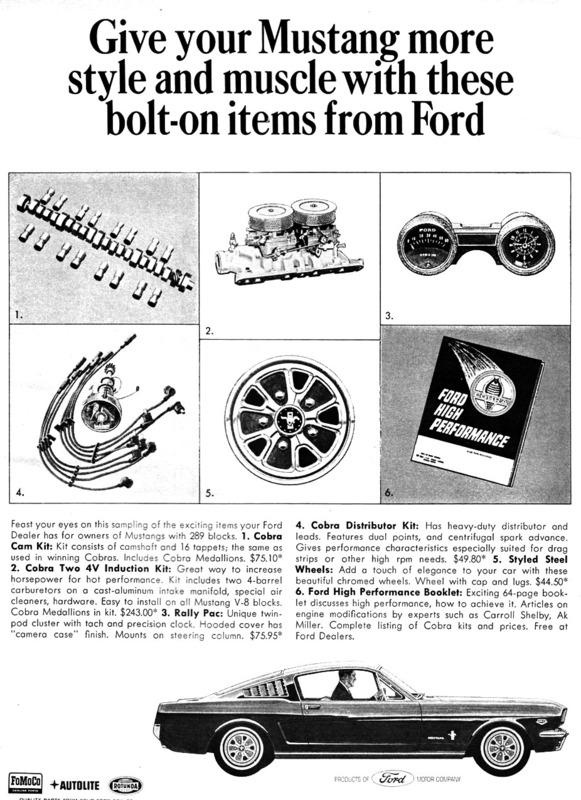 From 1967 Ford offered the FE series 390 cubic inch big block, and later the limited production, race tuned 427, and 428 Cobra Jet. 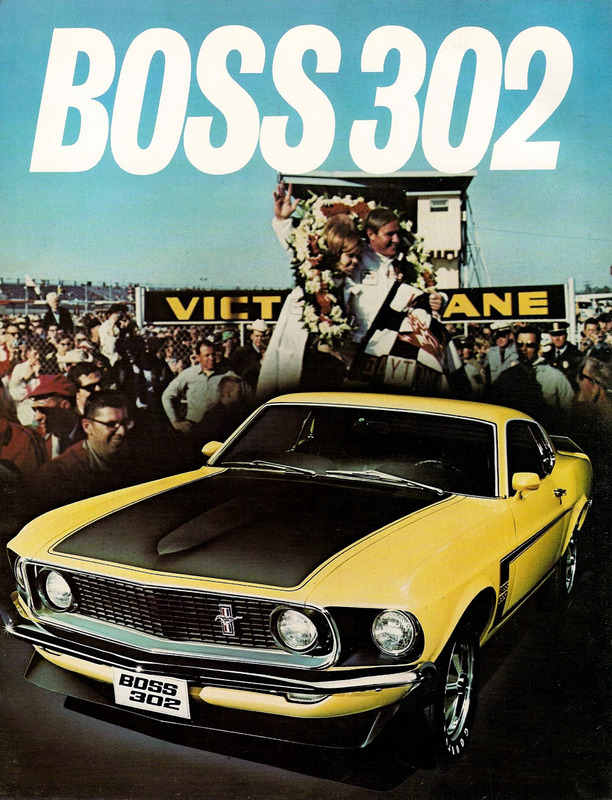 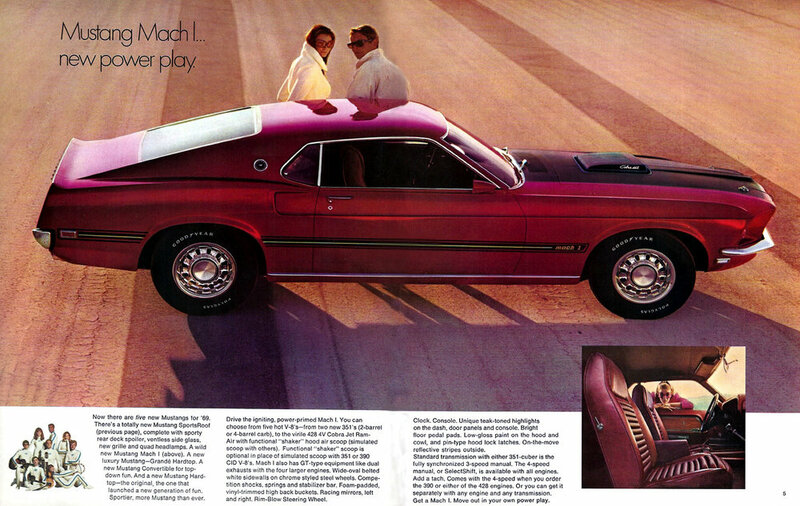 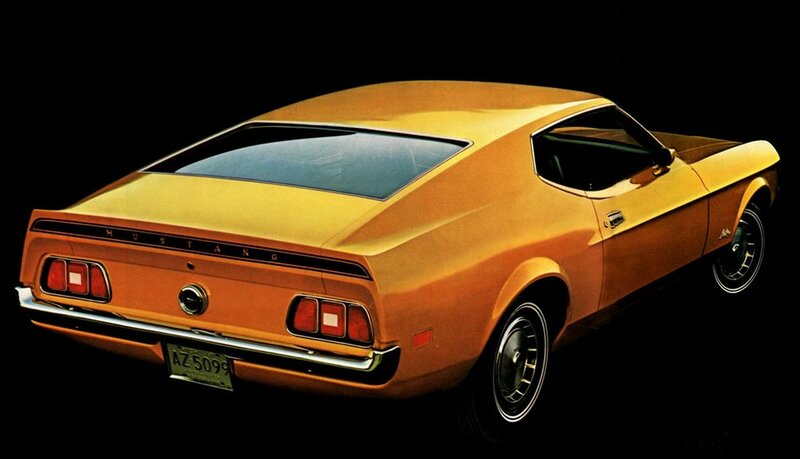 Models include the Boss 302 and 351, limited production Boss 429 and numerous GT variants.